Good evening! I hope you are all having a great Saturday! 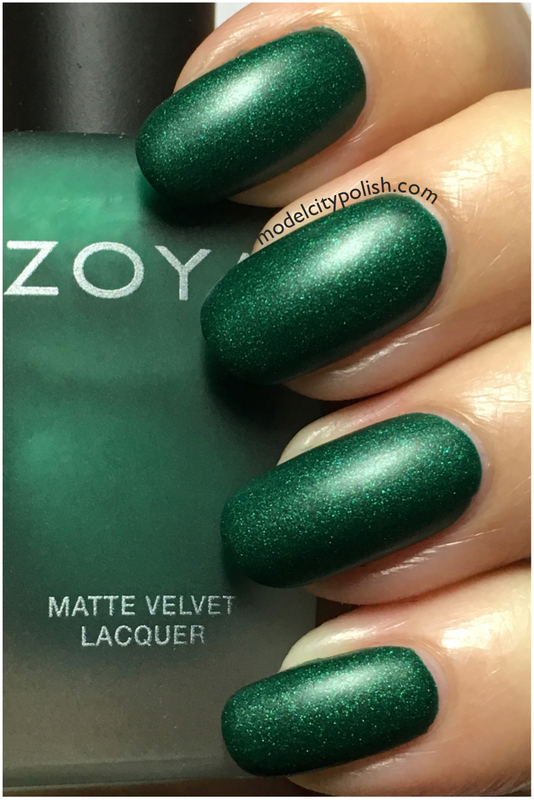 Today I have the lovely new Matte Velvet Collection from Zoya to share with you guys. 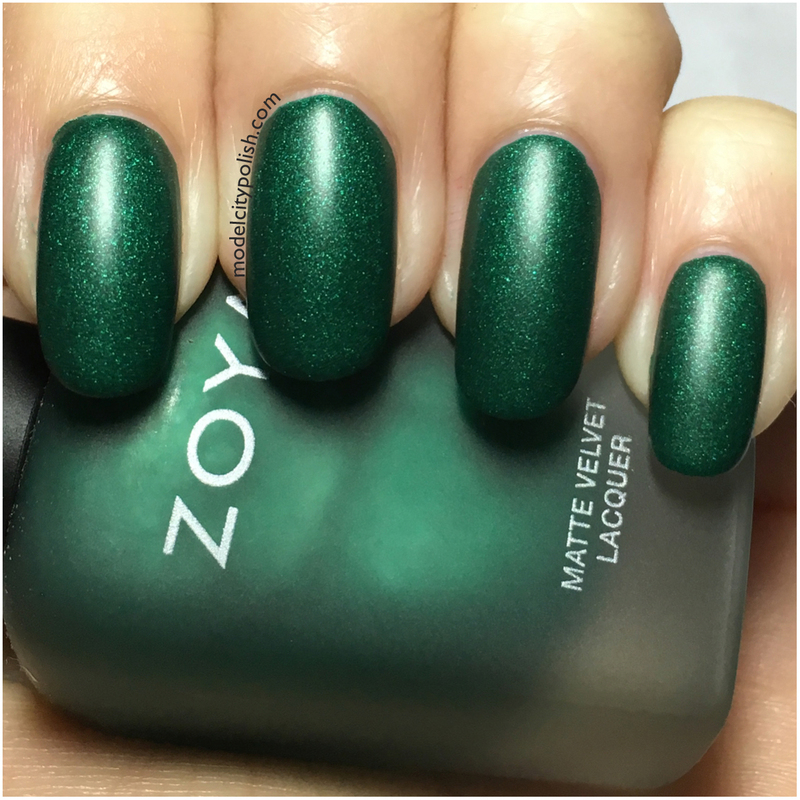 I am a huge fan of their mattes so when I saw the new collection to say I was excited is putting it mildly. 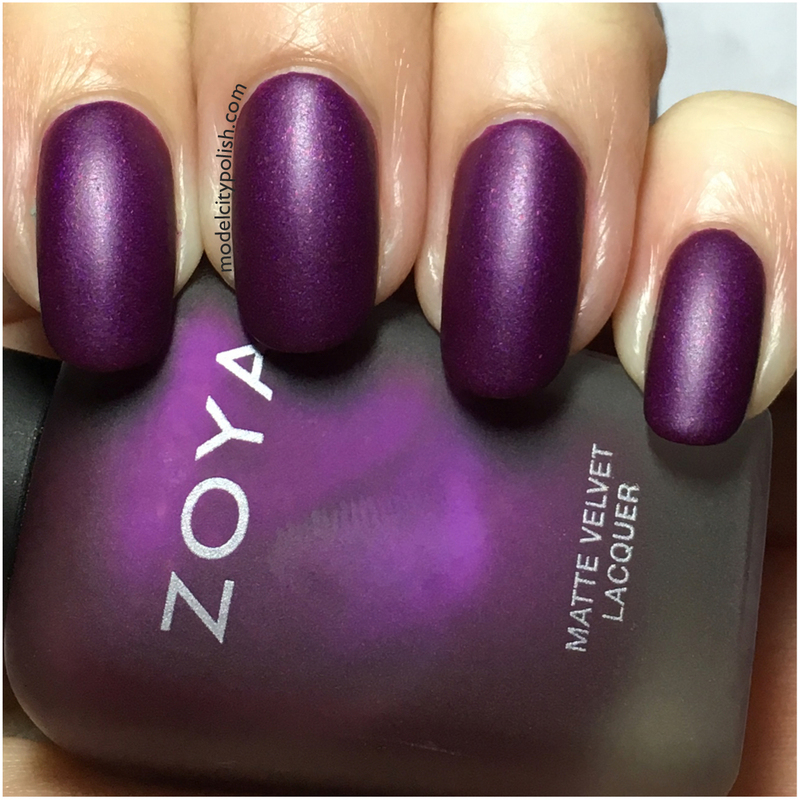 The new Matte Velvet Collection consists of 6 lovely matte shades that are just perfect for the winter holidays. First up we are taking a look at Aspen. 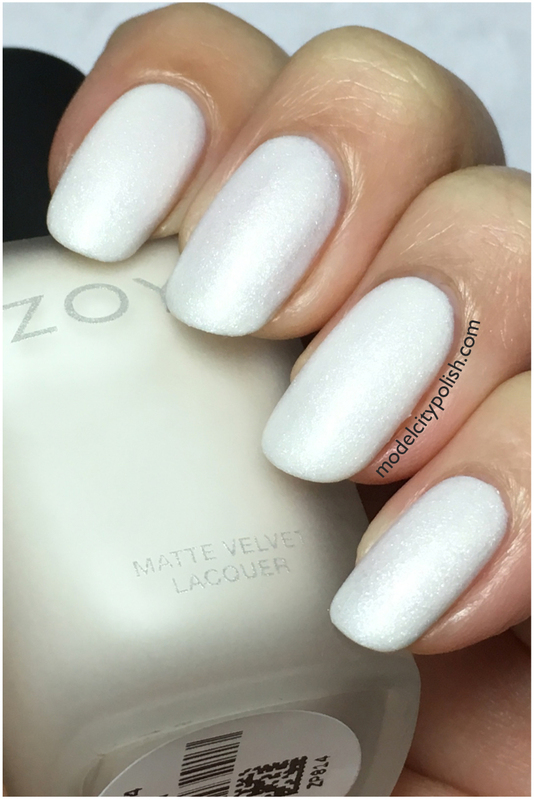 This is a beautiful aspen white matte with icy diamond like shimmer. 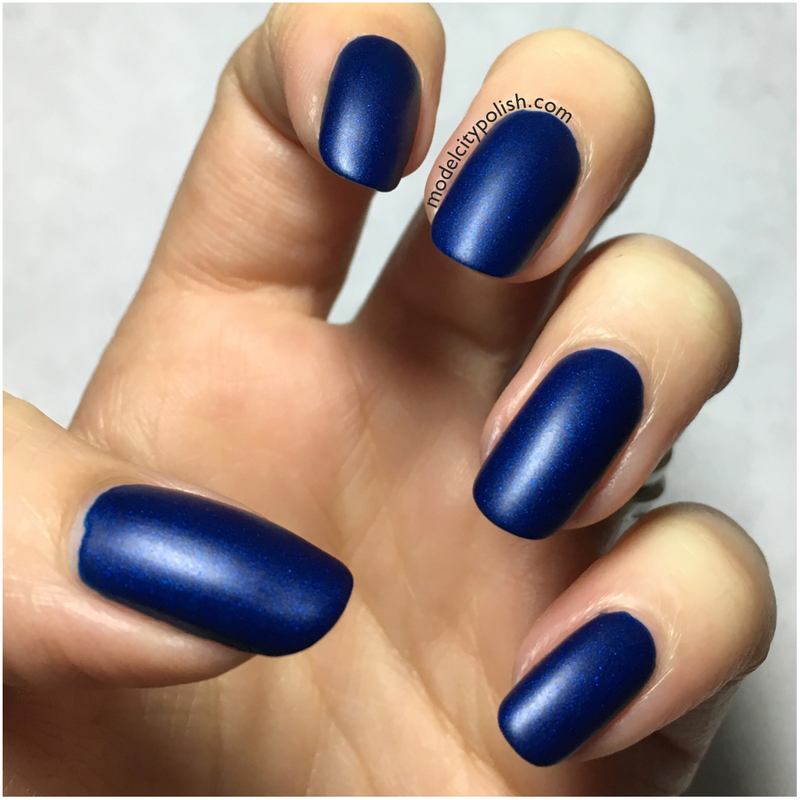 Application was super smooth and dry times were quick. In my photos I am wearing two coats of Aspen. 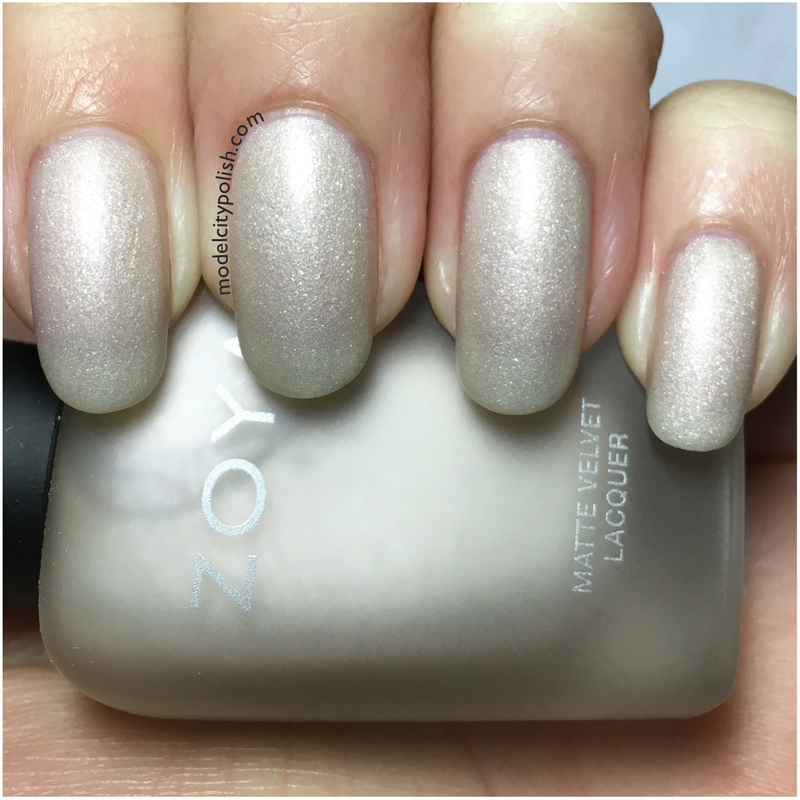 Next up we have Sue, a matte champagne with soft shimmer. 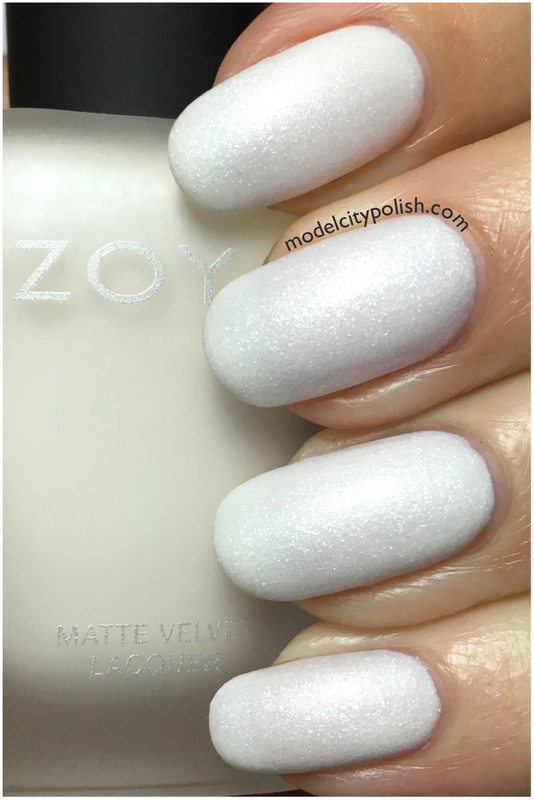 This was probably my least favorite from the collection, but only because it just did not work with my skin tone. In my photos I am wearing two coats of Sue. Now for Amal. 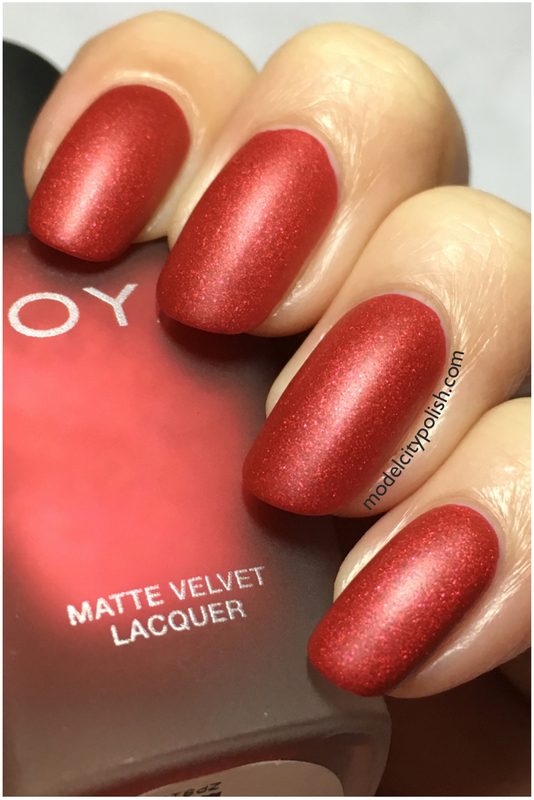 This is a beautiful holiday red matte with a lovely shimmer. 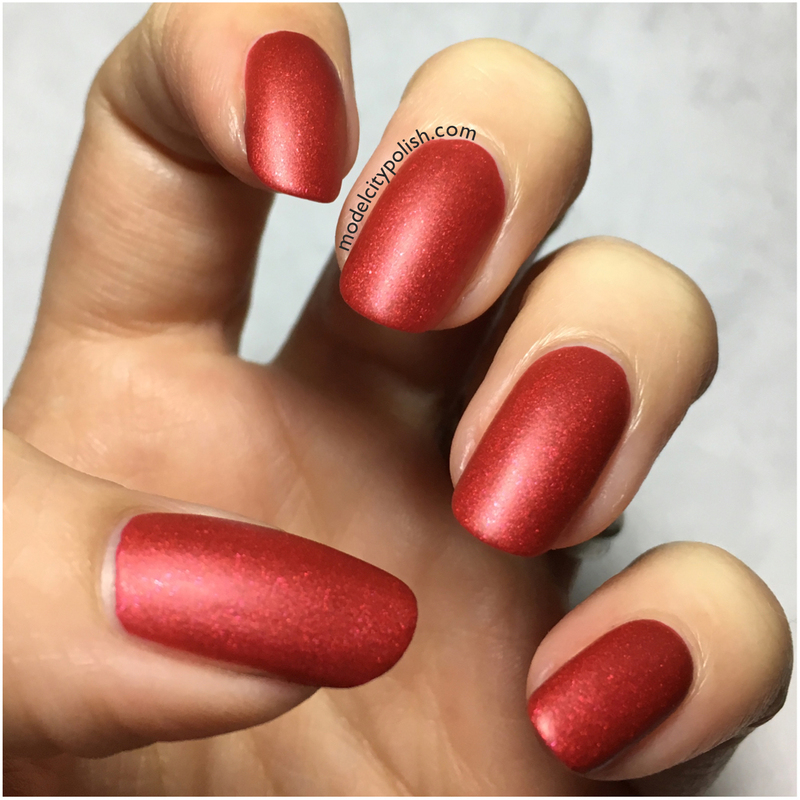 Application was super smooth and even with the heavy pigmentation, no staining issues to report. In my photos I am wearing two coats of Amal. 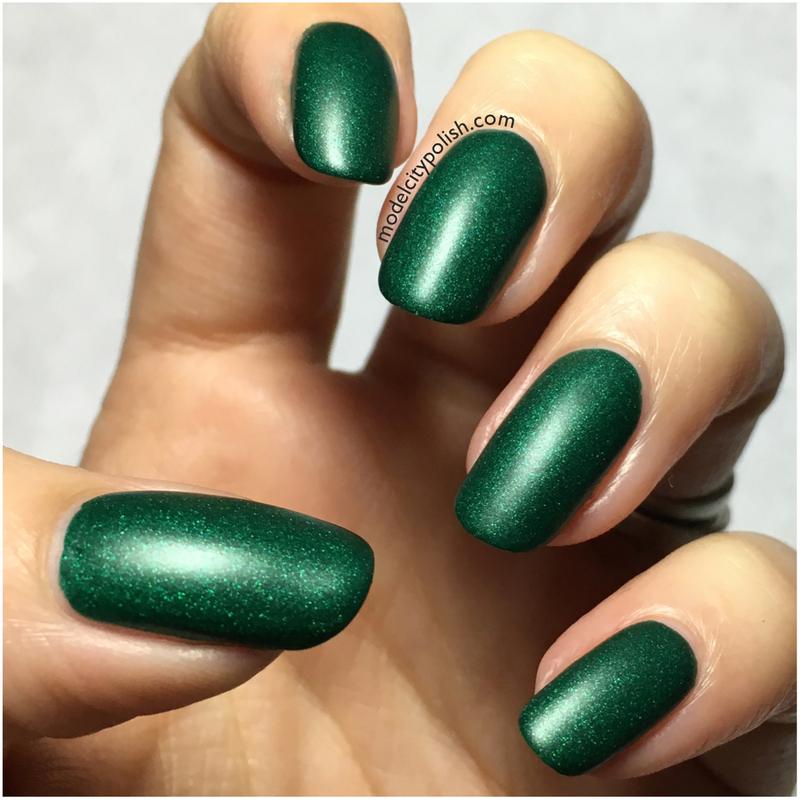 Next up have Honor, an emerald green matte with a stunning emerald green pearl shimmer. 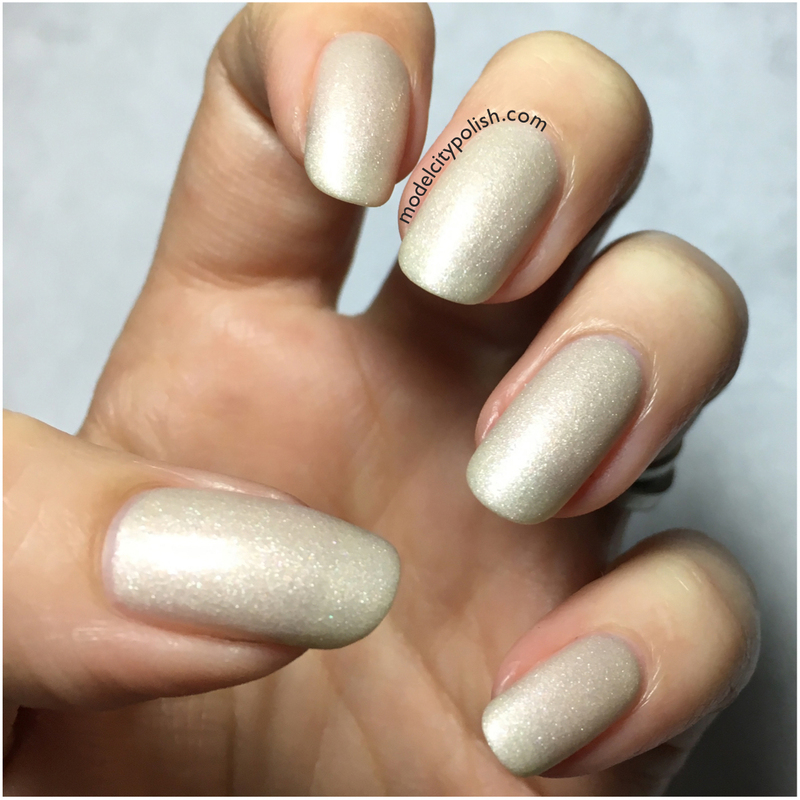 This was certainly a favorite! 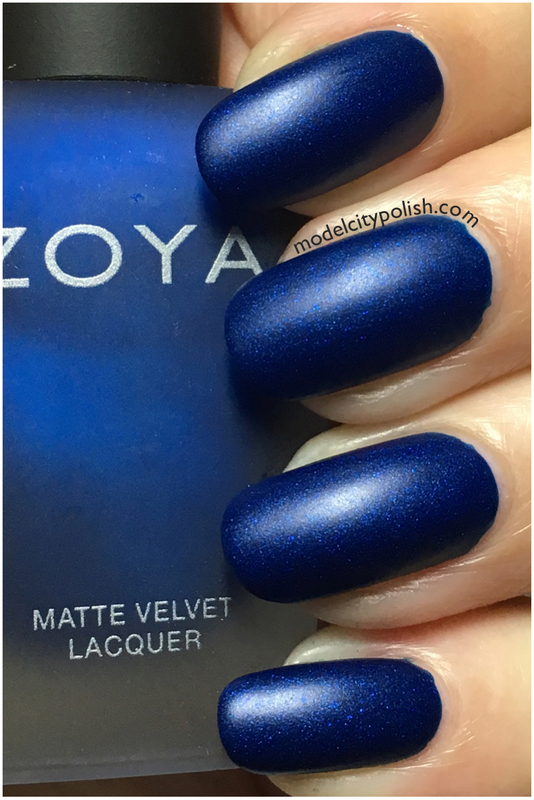 In my photos I am wearing two coats of Honor. 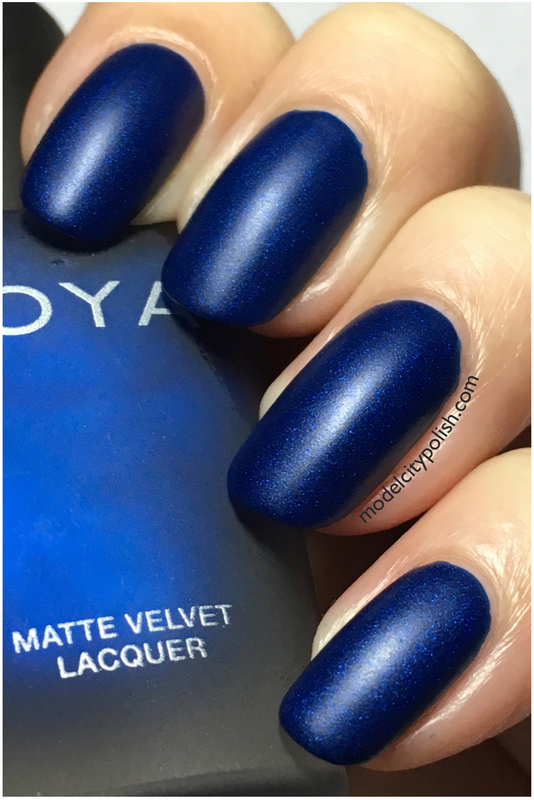 Next up, and another favorite, is Yves. 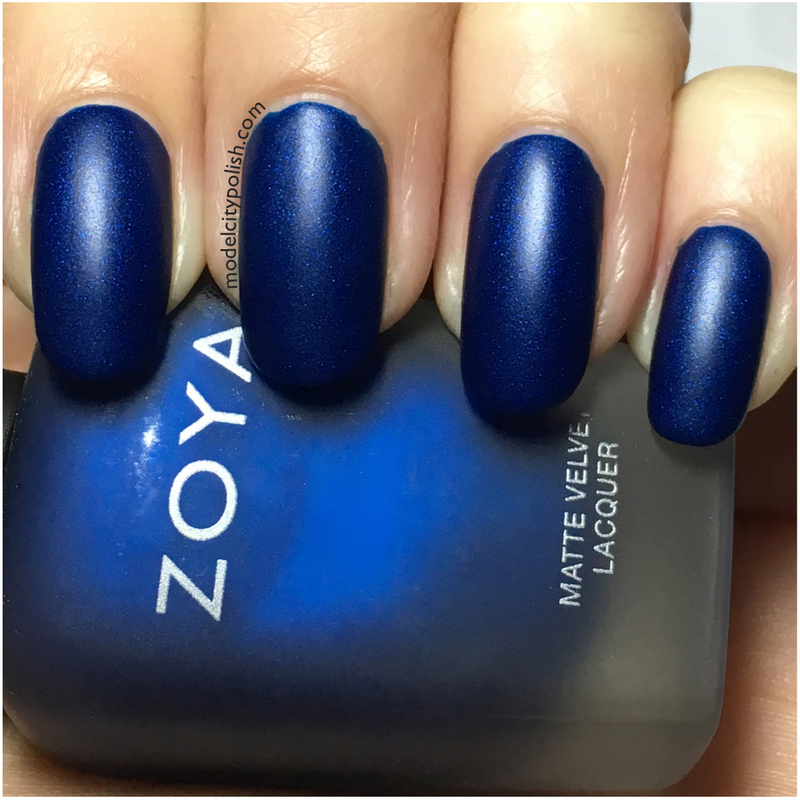 This is a beautiful sapphire blue matte with a deep blue shimmer. 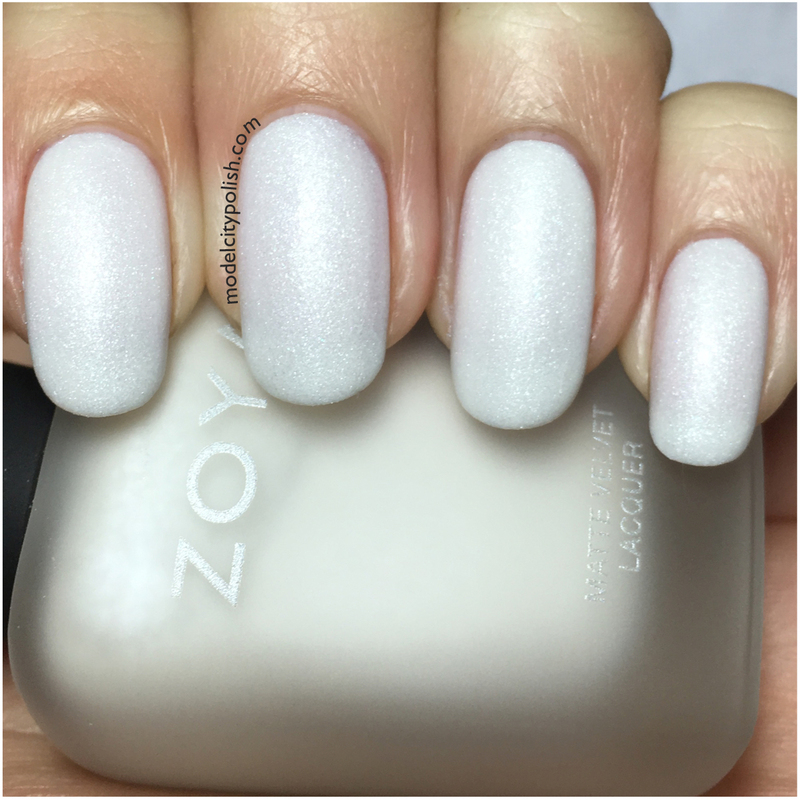 Application and dry time were perfect. 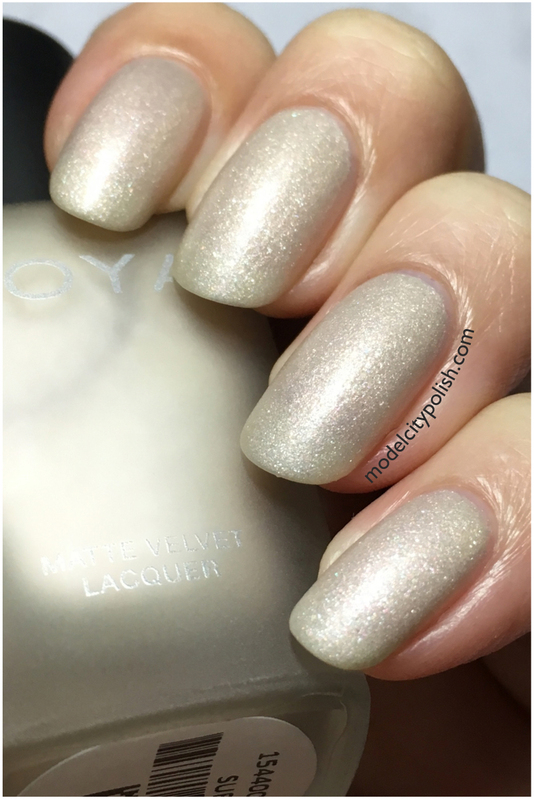 In my photos I am wearing two coats of Yves. 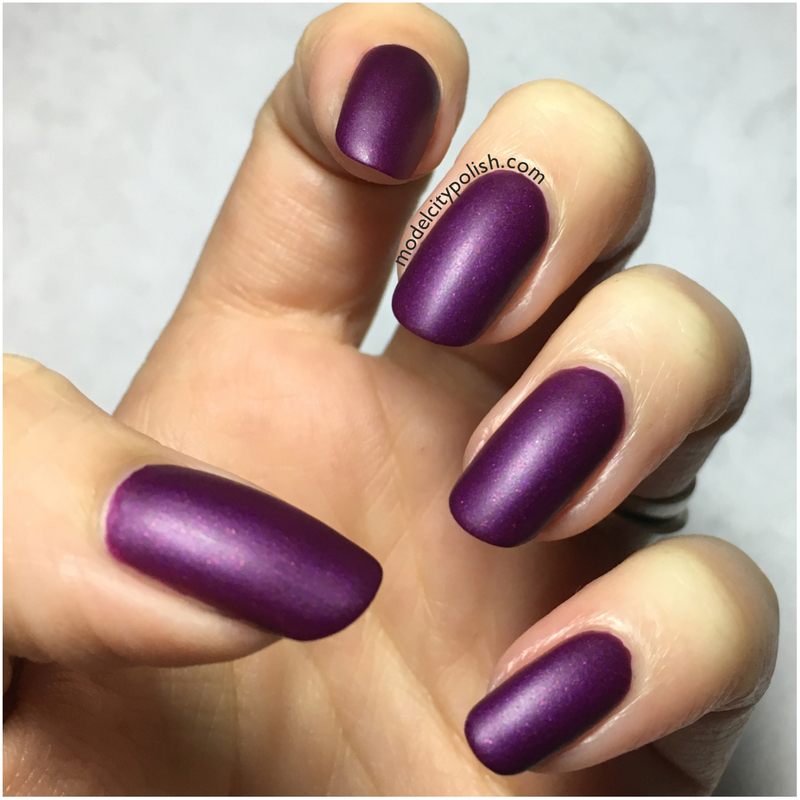 Lastly we have Iris, a deep amethyst with a purple and red flake shimmer. 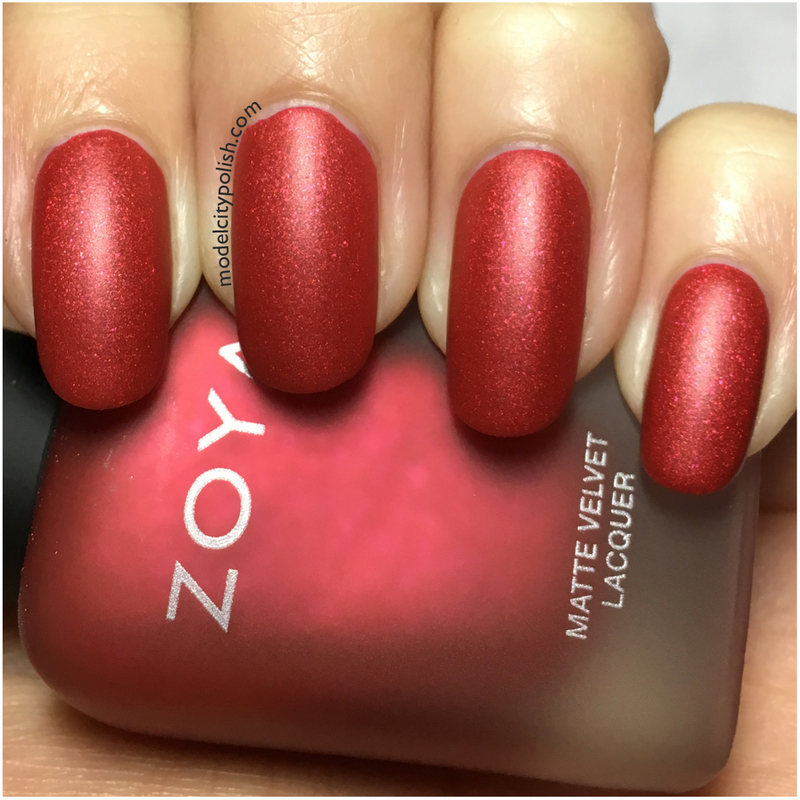 The flashes of red in this one really added an amazing extra little pop of color. 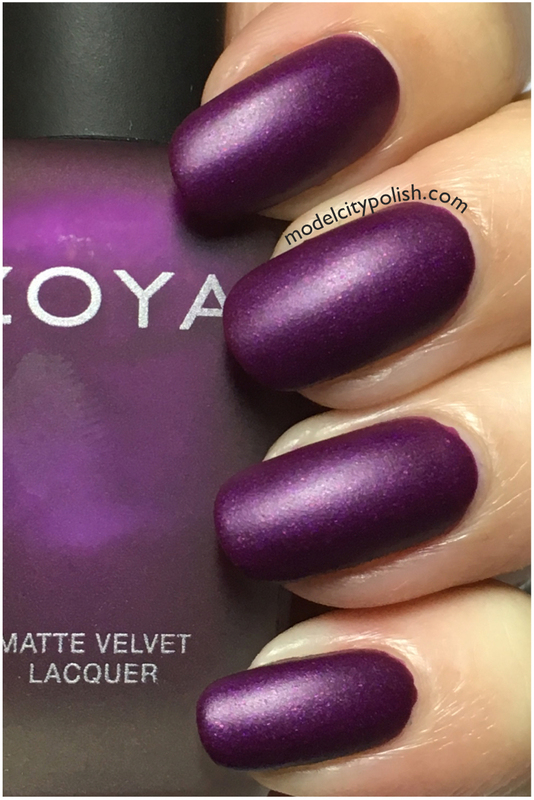 In my photos I am wearing two coats of Iris. 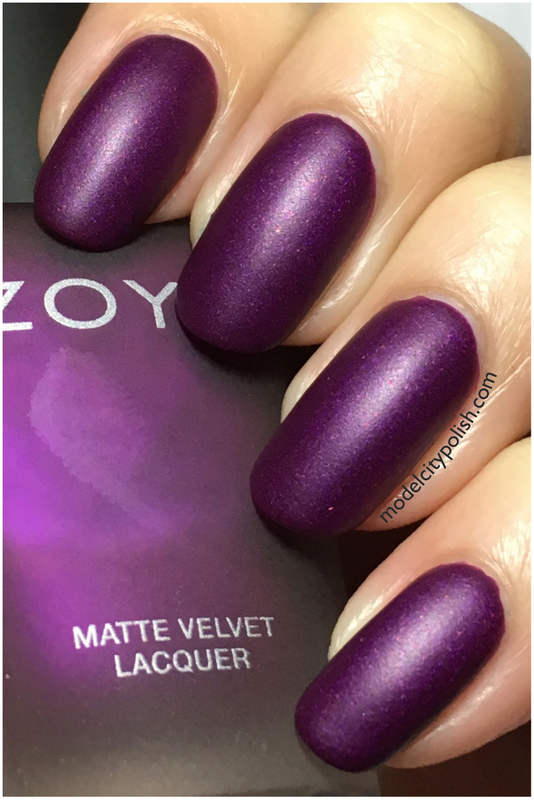 So what do you guys think of the new Matte Velvets? Aren’t they stunning? 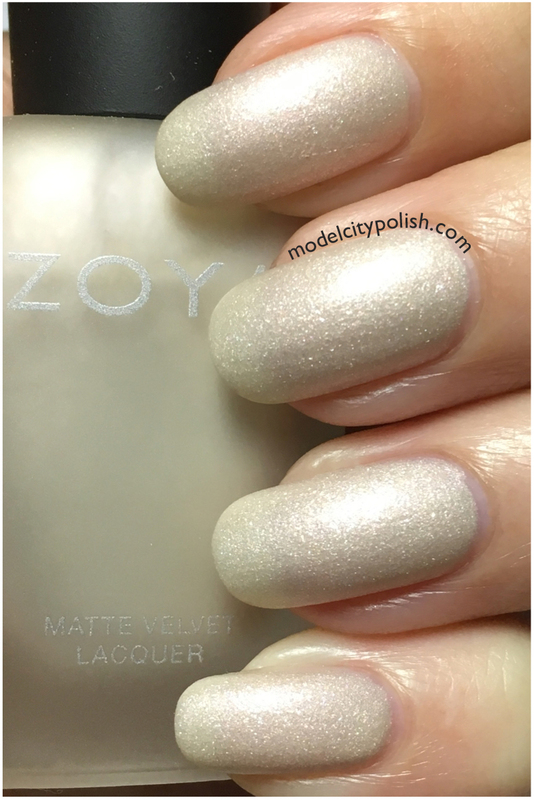 Zoya has yet again released another solid collection that will work to any day attire or setting. 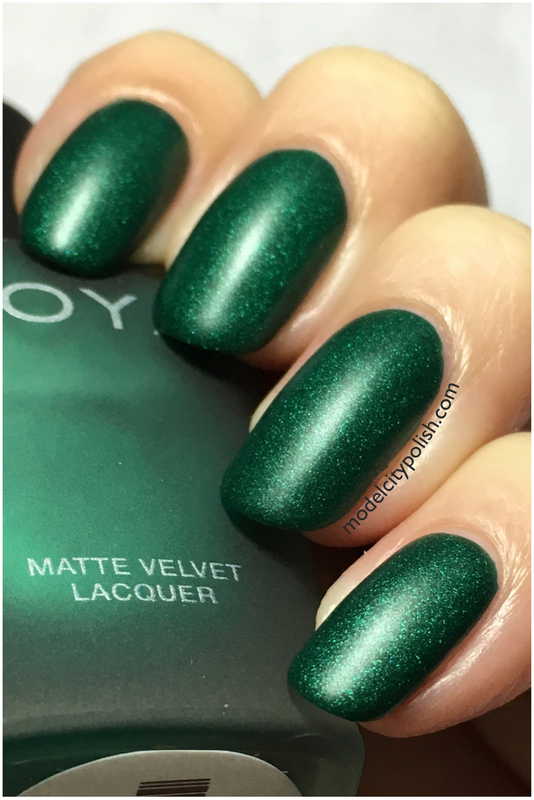 Now not only are these stunning mattes….. with a top coat they really come alive! Tomorrow I will be sharing all these beauties again but with a glossy finish. 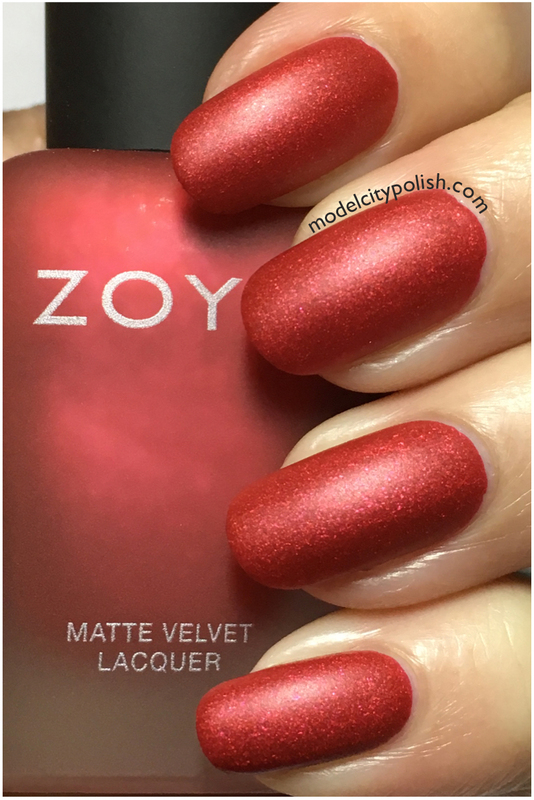 Be sure to check out all the amazing lacquers Zoya has to offer and give them a follow on Facebook, Twitter, and Instagram for up to date info, sales, and new releases. Thank you so much for stopping by today and I will see you all again tomorrow.